In overview, the Digital Surveying service offering considers Geophysical logging as the measurement of the variation with depth and particular physical properties of surrounding rocks located in boreholes using different geophysical measuring tools (Sondes). Measurements are made by lowering a sonde attached to the end of a cable to the bottom of the borehole, and then raising the sonde back out of the borehole at a constant rate to record the log, it is very important to maintain a constant rate while logging to ensure data quality. The sonde is connected by electrical conductors within the cable to recording and control instrumentation situated on the surface (the logging unit). The Logging unit contains a powered winch used to lower and raise the sonde. A permanent record of the log data is captured in the logging unit, and this can be presented on a paper chart and on disk for future computer analysis. The objective of geophysical logging is to determine the situ of the rock type, and other properties such as porosity, fluid content and ash content, which may characterize that sedimentary lithotypes and igneous rocks intersected in boreholes. In Coal exploration and mining, it is necessary to measure and identify one or more physical properties of the coal-bearing sequence. The appropriate logging determination of hydrogeological and geotechnical characteristics. Once this information has been obtained, it’s built into the geological database, so that assessment of the coal quality and geotechnical properties can be made. Of these Gamma ray and density are usually sufficient to identify coal horizons and other common lithotypes in coal-bearing sequences. Additional logs are used to identify the structural attitude of the coal-bearing strata and their inherent stress field orientation. These are dip meter and acoustic scanning and image processing techniques. The use of geophysics in the exploration for coal basins and the delineation of coal seams and geological structures, in particular coal deposits, is well established. The use of geophysical methods to identify coal deposits, and to further determine their economic potential. Physical properties of coal-bearing sequences. low radioactivity compared with surrounding rocks in typical coal-bearing sequences. Gamma ray, density and neutron logs measure nuclear radiation emitted from naturally occurring sources within geological formation, or emitted from sources carried on the logging tool. Unlike electric logs, radiation will work in the absence of a borehole fluid (air-filled boreholes) and through casing. In coal exploration where boreholes tend to be shallow, narrow and often dry, with walls in poor condition, radiation logs are often the only tools available for coal identification. The gamma ray log measures the naturally occurring radiation in geological formations. The principal source of radioactivity on rocks is usually the potassium isotype K40 associated with clay minerals, and therefore found more abundantly in mudstone and clay-rich siltstone. Conversely, good quality coals and cleaned sandstones have a very low level of natural radiation. The use of natural radiation to determine the ash content of coals is and unreliable technique, as coals with the same ash content may emit differing amounts of natural radiation, due to the makeup of the mineral content of the ash fraction in the coal. The Gamma ray log is not wholly diagnostic and is normal practice, it is used in conjunction with other geophysical logs in order to fully distinguish formations. ii. Density LogsIn coal exploration, the density log is used as a principal means of identifying coal, mostly because coal has a uniquely low density compared to the rest of the coal-bearing sequence. In certain circumstances there is the additional benefit of an approximate linear relationship between ash content and density for a given coal seam in a given area. In the density sonde, two detectors are used to measure gamma rays passed into the formation from the source and reflected to the detector by scattering. The long and short spacing logs are shielded from direct radiation from the source used, and measure the gamma rays which have been reflected, or back-scattered, from the rock. Density log will respond not only to the formation but also the fluid in the boreholes. 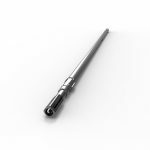 The density sonde is designed so that the measurement system is focused to give a narrow beam directed into the formation and forced against the borehole wall by spring-loaded arm (Calliper), so that it is always in contact with the formation. This removes the effects of borehole fluid except where irregularities in the borehole diameter occur during drilling due to material being washed out (caving), or deviations in borehole diameter. The problem of caving is significant for density logging in coal exploration. iii. Neutron logNeutron logs respond primarily to the hydrogen content of saturated rocks. The neutron log consists of a source which provides a continuous spectrum of high energy neutrons and a detector sensitive only to low energy neutrons. Hydrogen is the most effective element in the slowing down or moderation of neutrons. Once slowed down, the neutrons diffuse away from the source and are gradually captured. Therefore as one moves away from the source, the thermal neutron population first increases as more fast neutrons are moderated and then decreases as they are absorbed. Hydrogen is found in the rock matrix itself, in water chemically bound to the rock molecules, and also in the fluid in the pore spaced of the rock. The last of these is a measure of the porosity of the rock and the amount of fluid it contains. In sandstone, the neutron response in logarithmic with porosity, such that at low porosities it is sensitive by at high porosities it is less so. 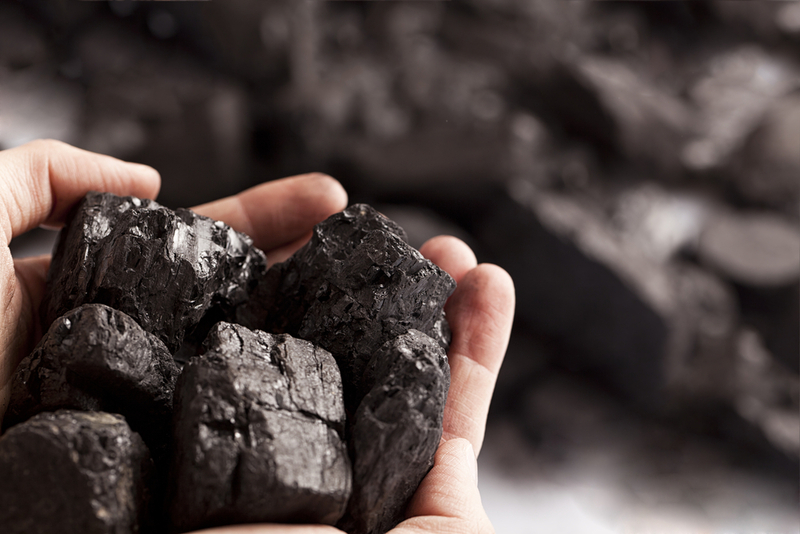 Coal gives a response of around 60% effective porosity due to its structure of hydrogen and carbon; any change in count rate can reflect changes in calorific value, which on a ash free basis can be considered as a coal rank parameter. Where moisture is relatively constant, the neutron log give an approximate guide to the amount of volatile matter present. The response of a neutron log over a formation boundary is not as simple as a density log response, and cannot be used for such accurate interpretation of thickness. Magnetic SusceptibilityThe Magnetic susceptibility of a rock depends primarily on its magnetic content. Magnetic susceptibility measurement by portable instruments has led to improved bulk susceptibility measurements. Although there is great variation in magnetic susceptibility, even for a particular lithology, and wide overlap between different types, sedimentary rocks generally have the lowest average susceptibilities, with coal having among the lowest susceptibility within the sedimentary suite. Basic igneous rocks have high susceptibility values. In every case the susceptibility depends on the amount of ferromagnetic minerals present, mainly magnetite, titano-magnetite or pyrrhotite. Electrical conductivityElectrical prospecting involves the detection of surface effects produced by electric current flow in the ground. It is the enormous variation in electrical conductivity found in different rocks and minerals that requires a greater variety of techniques to be used than in the other prospecting methods. Several electrical properties of rocks and minerals are significant in electrical prospecting, of these, by far the most important in coal prospecting is electrical conductivity or the inverse electrical resistivity. Most rocks are poor conductors, their resistivities would be extremely large were it not for the fact that they are usually porous, and the pores are filled with fluids, mainly water. The conductivity of porous rock caries with the volume and arrangement of the pores, and the conductivity and amount of contained water. Water conductivity varies considerably depending on the amount and conductivity of dissolved chlorides, sulphates and other minerals present, but the principal influence is usually the sodium chloride or slat content. dark patched on the amplitude image. The 360° calliper shows that the borehole has caved in a particular orientation. This corresponds to the direction of minimum horizontal stress. The plotting of stress direction of minimum horizontal stress. The plotting of stress directions in a series of boreholes will determine the final orientation of underground working areas by maximising roof and wall stability. Cut Rig Downtime, Increase Productivity, Gain Accuracy – The New Axis Champ Gyro can.